I live in San Francisco where a million dollars will buy you a 2-bedroom, 2-bath, 1200 sq. ft. condo in a nice neighborhood. Not only are home prices and rents sky-rocketing, the path to securing a home or apartment has gotten ultra-competitive. I partnered with Zillow, one of the best real estate sites, to share the following wisdom on securing an apartment in a city with a competitive real estate market. Large metropolitan rental markets are inherently competitive. Young professionals working downtown often prefer living within walking or public transportation distance of their offices. However, the cost of rentals in high-demand cities often leads to sticker shock for first-time renters. The median rental listing in New York City, for instance, is $2,600 each month for a two-bedroom unit. Even more shocking, the median list price for two-bedroom apartments in San Francisco is $4,400 per month. Compare New York City and San Francisco to smaller, stable markets such as Atlanta, where a two-bedroom apartment may cost around $1,400. Potential city center leaseholders might be forced to rethink their desired locales. Given the high demand for rentals in major metros, landlords are able to price their units astronomically high and remain successful. The nature of these markets also leads to short listing periods, quick decisions and strategic application practices. Therefore, renters must get organized prior to searching for apartments in the concrete jungle. Consider the following tips to find and secure the right rentals in competitive markets. Be on the right schedule for rental searches. It’s beneficial to preview units a few months prior to renting to analyze the current and shifting markets. Vacancies don’t last long in competitive areas, so use these units as comparable properties, as they’ll likely rent within weeks. Potential applicants should begin their official searches about a month before planned move-ins. Landlords usually know the number of vacant units one to two months before leases end. Some begin advertising, scheduling showings and accepting new applicants as early as two months prior to vacancy. Most financial advisors warn against spending more than 30 percent of gross monthly income on rent. However, new graduates, no matter how hard they work, might only be making around $40,000 per year before taxes. With such low salaries, young professionals should budget $1,000 per month or less on rent. In New York City, the typical studio costs $2,150 monthly, equating to almost 65 percent of monthly income, assuming a $40,000 salary. Either New York City leaseholders search for better paying positions, or stretch their budgets while jeopardizing their potential savings. Fact is, if residents don’t have at least $2,000 to spend on rent, they should look to live outside of Manhattan. The same rules apply to more expensive markets such as San Francisco. Consider outlying suburbs, where list prices are significantly more cost-effective than their city counterparts. It pays to bring cash. In a competitive market, landlords search for the most responsible tenants to fill their vacancies. Deposits show landlords that tenants are financially capable of providing reliable, timely rents. Deposits also give property managers and landlords the incentive to choose one applicant over another. And, in a region like New York City where applicants scramble to sign the best leases, motivators are important. Be aware that most hot-market landlords also require first and last month’s rent upon lease signing. For a $2,500 per month apartment, the total initial payment might amount to $9,000 upfront, including the security deposit. 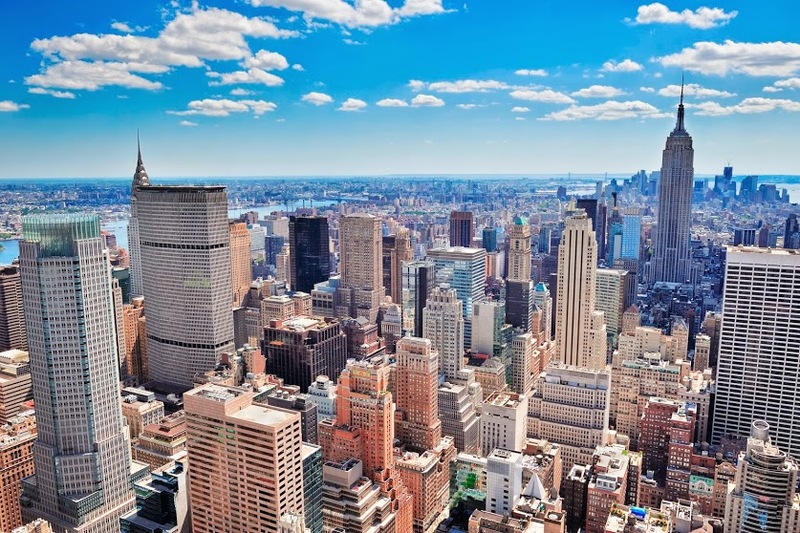 New York City landlords don’t have time to waste on ill-prepared applicants. Show up with state-issued identification or passports, solid references, cosigners (if necessary) and credit reports in hand. Reference lists should include full names, phone numbers, email addresses and addresses. Select trustworthy associates to provide accurate and positive information. Previous landlords are great references, so maintain good rapport – even if living situations prove less than satisfactory. Discuss any disclosures openly and honestly. For instance, foreclosures and short sales appear on credit checks. Disregarding such items may come off as devious, forcing landlords to assume applicants are untrustworthy. Regardless of track records, check credit reports before applying for leases. This way, any discrepancies or blemishes can be fixed or explained appropriately. As renters become more seasoned at leasing in the city, they tend to automatically adapt these practices. However, stay up to date with individual market and industry trends, and adjust search processes to reflect these shifts. Down the road, high demand may require even earlier rental searches – potentially two or more months in advance. Where are these two-bedroom apartments for $2,600!? My one-bedroom NYC apartment is about twice that! These are good tips though especially about being ready to sign with all your info ready to go. I remember apartments going on craigslist in San Francisco.. if you didn’t answer within 30 seconds, I swear it was already gone! My husband had a gorgeous place in the Haight for 13 years. I swear that it was gone within 30 seconds of us announcing we were leaving. Your tips are spot-on. Be prepared to be fast and to PAY fast. These are great tips. I wish I had known more when I first moved to L.A. I was shocked at how hard it was to find a place to live! growing up in the bay area (and renting a 2bdrm for $2,400 10+ years ago in Berkeley) then moving to DC (where a studio apartment is $1,800), I feel like I’ve been desensitized to the high prices… not sure if renting will be in our future (maybe), but in any case, great pointers!